Grand Tour is a logic puzzle. 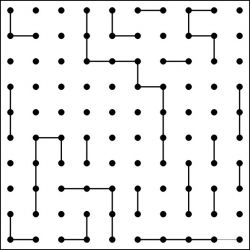 It is a grid of points that all need to be connected by a single loop. To begin the puzzle, a few of the points are already connected to insure a unique solution.